(Singapore/Bangkok, 16 November 2016) – Think Centre (TC) and FORUM-ASIA appeal to the Singapore Government to stop its use of the death penalty and specifically pleads, on behalf of the accused, Mr. Chijioke Stephen Obioha, a Nigerian, and his family for the stay of his execution. Chijioke was arrested more than nine years ago and given the death penalty for trafficking cannabis. He is set to be executed on Friday, 18th November 2016. Chijioke did not go through a full appeal process. The circumstances surrounding his withdrawal of the resentencing application were not clear to his family. According to international human rights law, possession of drugs should not attract the death penalty. However, given the restricted amendments to Singapore law, the family believes that re-sentencing is the fairest chance they have at seeking similar justice. His family was not kept in the loop of decision-making and expressed disappointment at the lack of communication between them and the defence team. His ordeal on death row was made more difficult to endure as his family was not able to be in touch with him. The inordinately long period he was on death row, nine years, must point to doubts over the extent of his guilt and whether he indeed deserves the death sentence. This ordeal, amounts to cruel and inhumane treatment of the accused and his family. It should be considered a grave punishment already paid by the Obioha family. Proponents of capital punishment often claim that interests of victims and their families should be valued. Yet, having halted the potential distribution of drugs through Chijioke’s arrest, the only victims here are the Obioha family. While we share the Government’s interest in keeping a low crime rate and the need for a strong deterrent to organised crime, there has been no scientific correlation proven between the death penalty and its efficacy in tackling such social ills. Hong Kong, Monaco and Iceland have kept their murder rates low and countries like Sweden have also successfully reduced drug abuse without the use of the death penalty. Think Centre and FORUM-ASIA support the abolition of the death penalty as it violates the right to life as set out in the Universal Declaration of Human Rights. We plead for Chijioke’s death sentence to be commuted and a moratorium be effected immediately. 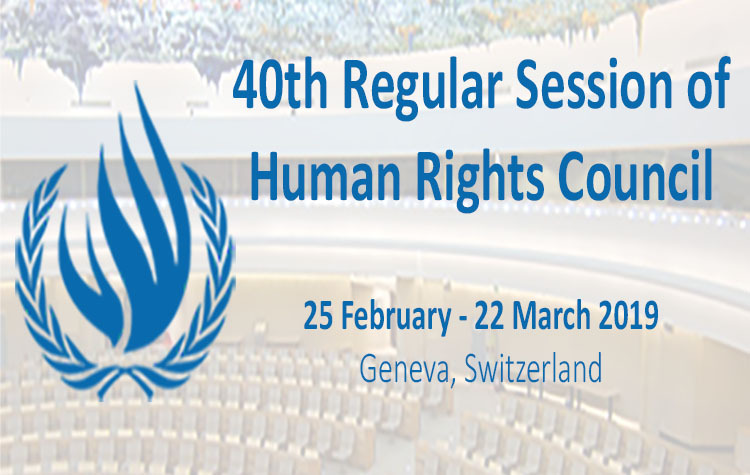 26 member states of the United Nations also raised concern about the death penalty during Singapore’s Universal Periodic Review during the 31st meeting/ 32nd regular session of the UN’s Human Rights Council in Geneva on 24th June this year. Chijioke younger brother shares that: ‘Chijioke Stephen Obioha is like a twin to me even though he is my elder brother. A whole part of the family has been missing since that date in 2007. He is a brother among all my brothers that loves to help, makes sure people around him are fine and would help as much as he can to assist friends and family. Hard working and industrious, our family miss that brother, son and uncle who always love to see our family united and happy. Educated brother and skilful in playing soccer, which was one of his dreams in Singapore. It was an unforgettable shock for the family to hear of his link to such case. I have always been in constant contact with him since his stay in prison and he has always kept to his stands of innocence.